It was a few days after the tragic drama on Queens-Day in the city of Apeldoorn on April 30th 2009 that the Dutch prince Constantijn fulfilled one of his official duties as patron of World Press Photo and handed the WWP 2008 prize to American photographer Anthony Suau during a ceremony in Het Muziekgebouw in Amsterdam. In the February 13 issue of Photo District News (PDN), a professional photographer magazine, the difficulties of Suau to get the story published and his own continuous struggle as a social engaged photographer to find assignments and commissions are described in detail. The Prince started of his speech with a reference to the assault of a car driver steering straight through a festive crowd awaiting a special open bus, in which he and the rest of the royal family were standing and waving during Queens-Day parade in Apeldoorn. If the driver of the car -Karsten T. – was aiming at the royal family, or if he was committing public self murder choosing the royals as witnesses, are only two, of possible more, interpretations of the event, resulting in the death of seven bystanders, several wounded and the end of the life of the assaulter. Karsten T. missed his alleged target by far and bumped into the iron frame around a stone monument next to a crossroad almost at the same moment the royal bus appeared at the crossing from another direction. Police sources were surprisingly quick in spreading the news that the assaulter – however badly wounded he was – still had enough wits to state or confess that the queen or royals were his actual targets. These police sources failed – and fail till today – to give any details on how this last statement of the assaulter had been taken and by whom. The whole case is still under investigation, but already the same day circumstantial details became known: Karsten T. had lost his job; could not afford the rent of his house anymore; had informed the house owner he was leaving and would give back the key of the house the next day. Karsten T. most probably had no other place to stay, nowhere to go, did not want his parents to know about his dire situation… In other words he was a desperate man ready for a desperate act. As the tragic events in Apeldoorn are so fresh on our minds, please allow me the opportunity to say a few words. First and foremost, our thoughts are with the people whose loved ones have been torn away so suddenly, and with those who were injured. The images keep passing before my eyes, and the sounds echo in my ears. There is no “why”; no reasoning; there is only devastation and a useless, tragic loss of life. 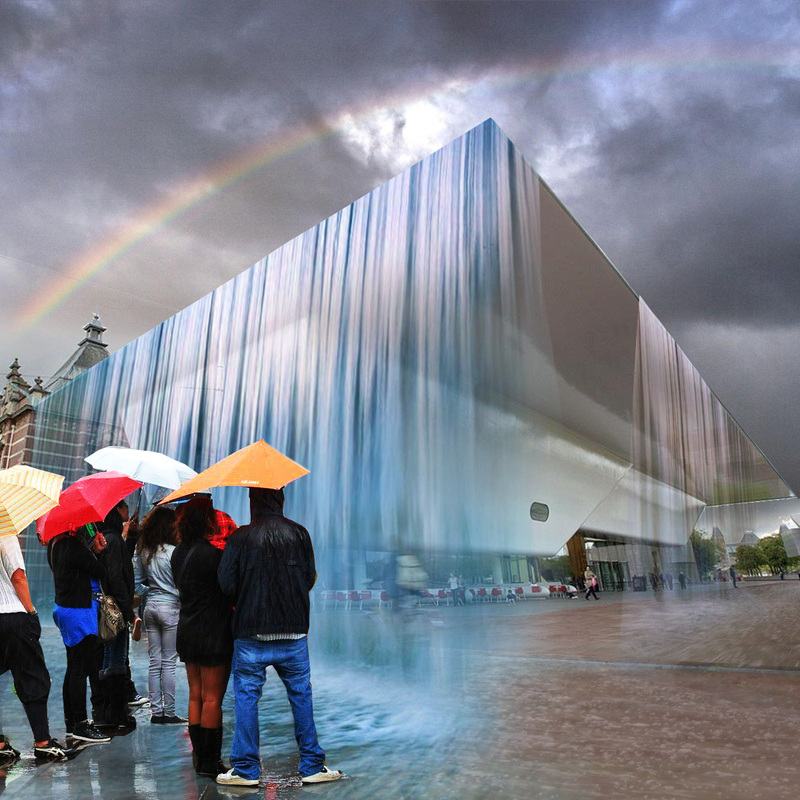 A senseless, horrific act ripping apart lives, shocking a nation, which feels like an attack on much that is dear to the Dutch as represented in Queen’s Day: a joyfulness that is inclusive, open, unifying, friendly and innocent, which I hope ultimately will remain intact. Tomorrow is Remembrance Day in the Netherlands; the day on which we remember not to forget. We retell the stories and review the powerful images that have become part of our collective memories. These photos have captured our past and continue to do so for the future. Photography has certain advantages over film, as it is easier to store and review. Moreover, we need these ‘stills’ to project the news into, to have a peg from which we can hang our own memories and associations. 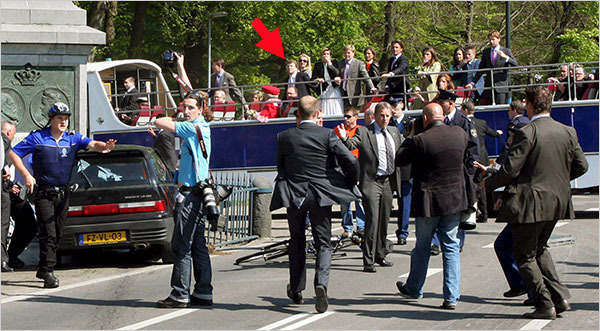 Photo 1) Apeldoorn 30 of April 2009: a photograph that did appear in the international press, a complex picture with two (press) photographers being halted or interrupted in their trade right after the moment that Karsten T. crashed into the monument (with frieze pictures of the grandmother and father of Queen Beatrix visible), while in the open bus in the background the actual Dutch queen Beatrix (red costume and hat) can be seen. This picture must have been made with a tele-lens which gives the wrong impression of the royal bus being very close to the monument and crashed car. This photograph is also taken at a short while after the car has crashed into the monument, A the moment of impact the royal bus was starting to make a curve and arriving at the crossing. I added a red arrow that points at Prince Constantijn in the bus. The policeman at the left with the blue shirt seems to grab for his pistol and one wonders why he is doing so. In the available pictures and videos of the Apeldoorn drama in the press and on the Internet I could not find any policeman or security officer grabbing or pointing a gun during the short moment of the deadly trajectory of the assault car. It looks as if the policeman in the blue shirt tries to halt the photographing activity of the man with the light blue shirt and many camera's. The guys with the suits must be security officers of the royal family. This picture is possibly made by Albert Nieboer a photographer specialized in documenting royals and did a.o. appear in the New York Times. 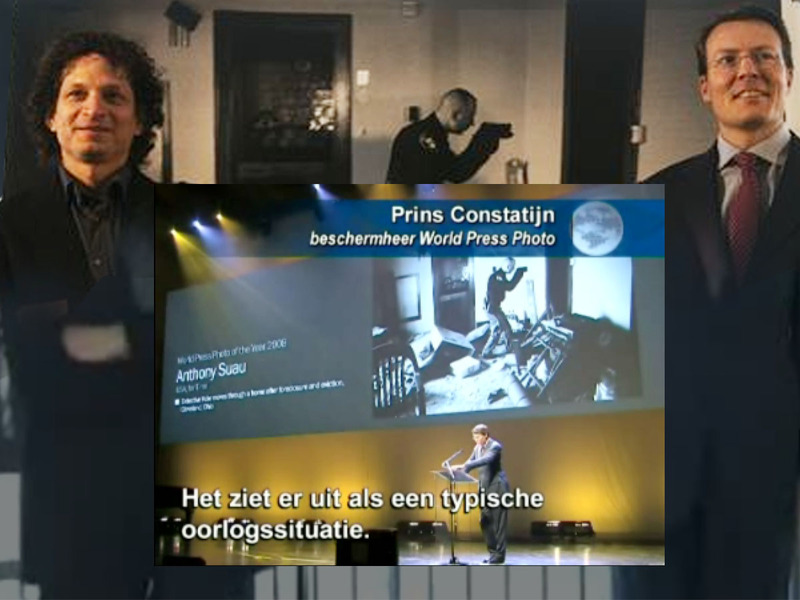 “A peg from which we can hang our own memories and associations” says Constantijn and it made me wonder why he fails to make the obvious association, linking the subject of the winning World Press photograph of Anthony Suau with the pictures of the Apeldoorn drama, in which – he himself – even played a role. Both photographed scenes have a hidden story, from the pictures alone we can not derive what really happened. The modern spectator is supposed to be an active member of ‘media society’ and its connotations, at least that has been the opinion of the World Press Photo jury, they take it for granted that connotations of a news photograph are actively gathered by the public: newspaper headlines and associated pictures; emblematic television news visuals; the promises of advertisements and its friction with what is experienced as reality; repetitious cross referencing between texts and images. 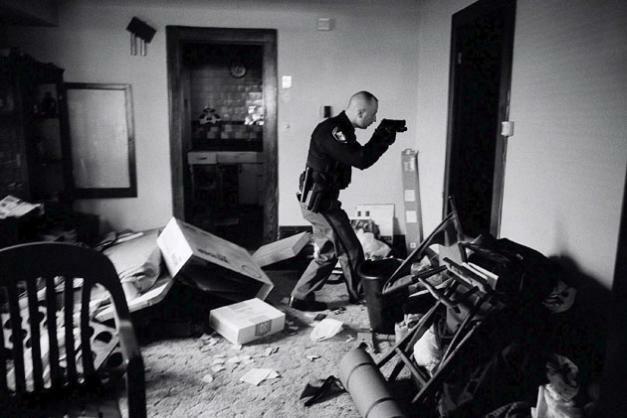 The ravaged house with the policeman and his pistol about to enter a door – to another room – in full concentration, can not be recognized as a house where the owner has been forced to leave because of failure to pay the mortgage as a result of the financial crisis, let alone that the viewer of this picture could know, that the house only had been vandalized after the owner had left, and that there was some evidence that the vandals had taken a weapon from the house, which explains the pistol in hand search as photographed by Suau. There is a subtext to news images, be it the post eviction photograph of a house in the USA or pictures taken of the Queens-Day drama in Apeldoorn. “Double entendre”, two ways to understand it says WPP jury member Golon, pointing at the figure of speech derived from the French whereby there is a twist to the obvious. One needs to read below the surface “go to the root of the problem” as prince Constantijn says in his speech when he comes to the moment where he directly speaks about the photograph that out of 96,268 pictures send in, won the contest. Is this the same prince who in the opening statement of his World Press Photo speech refers to his own involvement in a drama, only a few days ago, saying: “The images keep passing before my eyes, and the sounds echo in my ears. There is no “why”; no reasoning; there is only devastation and a useless, tragic loss of life.” Does Constantijn not read any newspapers, does he not look at the television news, does he not check the internet? He has studied law, works now for the Brussels office of the American ‘think thank’ organization RAND, so one supposes he is generally speaking, an informed man. Why does he not give one word to the publicly known facts – as anybody knows them today – that the ‘root of the problem’ can be found in a personal crisis of a man who had no job anymore and who could – most probably – not even afford to pay the rent of a non-luxury apartment. 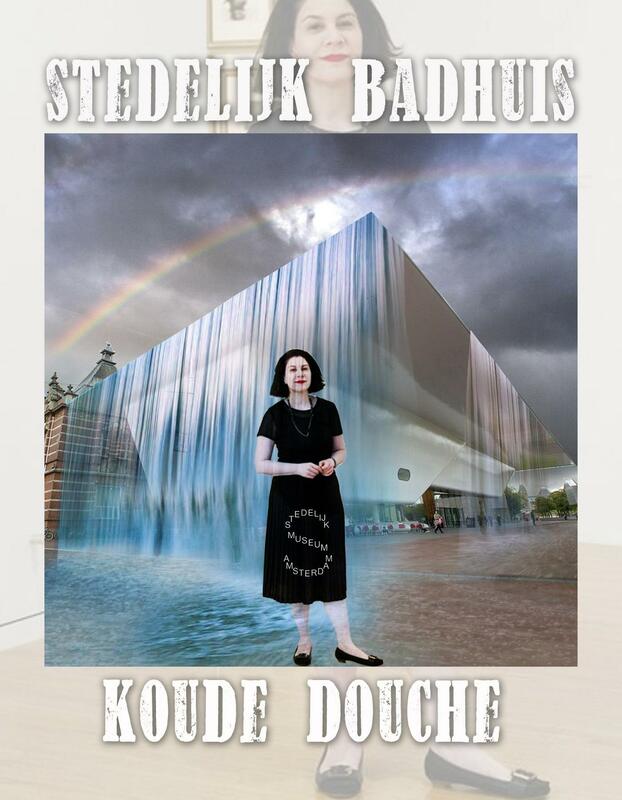 How is it possible that a few minutes before he will describe “the particular type of war zone” that Suau has depicted, he typifies the context in which the drama of Apeldoorn enfolded as a Dutch expression of “joyfulness that is inclusive, open, unifying, friendly and innocence”? Where is his imagination? However uncomfortable it may be for a royal to acknowledge, there was a “why”, there has been “a reasoning” – if only in the mind of Karsten T. – which led to the assault, public self-killing or some other explanation for his deed which still is to be found. The “inclusive joyfulness” of a Dutch Queens Day parade may even have been the actual trigger for Karsten T., may well have been ‘at the root of the problem’. My guess is that Constantijn does not lack imagination. He is intelligent enough to somehow guess how such dramatic strings of events may be triggered, but being straightjacketed in the strictly organized Dutch royal family – even though he is only fifth reserve king in line – he can and he will, say nothing meaningful. His “memories and associations” will be hidden from us. Active self-censorhip is his trade. In the privacy of his home there may be several “pegs” on which pictures are hung with his own memories and associations. One of the pictures maybe this one showing his brother Willem Alexander and his sister in law Maxima clasping their hands on their mouths in bewilderment. Constantijn himself is only partly visible in this picture, that may tell – in World Press Photo aesthetics – in its simplicity the story better than the complex scenery of the Apeldoorn 1) photograph in this post. Photo 2 Apeldoorn 30 of April 2009: Maxima clamps her one hand on the railing of the bus and the other over her mouth and nostrils, as she watches the totally unexpected terrible scene in front of her; Willem Alexander is captured with his mouth visible through his fingers in an inelegant way, one of the rare moments were his trained official mask has fallen of; the hand over mouse gesture can be seen as a subconscious gesture that indicates that a person is perplexed by what just have been seen or heard, also to stop oneself from shouting; their eyes survey the disastrous scenery but also seem to be turned inward, thoughts racing through their minds, "was this aimed at us? "; feelings of empathy also, seeing the sprawled victims on the pavement and people rushing up to help them; dismay as well, because this act brutally puts an end to what Prince Constantijn described as "joyful", "friendly" and "innocent"; Willem Alexander and Maxima see the crashed car and must have asked themselves what the motive of the car driver could have been, including flashes of their public role and, apparently, not being loved by everybody; thoughts how this will effect their personal life and how it relates to their public role in the future. Curious is that the face of the one policeman that can be seen in full profile looks the other way, as if he has not seen what has just happened and it is a face without any sign of having witnessed a disaster; it could be that as the policemen stand lower and their view is blocked by people in front of them; also a strong tele-lens must have been used drawing together what in reality is far apart; nobody is seen in a pose of shrinking back from an approaching danger, or pulling themselves together after such an automatic body gesture of fear; the overall impression is that of spectators in shock and awe. The pictures above appeared on a website of Daylife.com, that relates it to Reuter, but there are other agencies that have what seems to be a similar photograph, most probably a cut-out of this picture; that one is ascribed to the Dutch photographer Patrick van Katwijk (possibly related to dutchphotopress that has a set of pictures of what they call “Queensday Accident” which carries yet another link to Monarchy Press Europe (these two last agencies seem to be specialized in photographing royals). 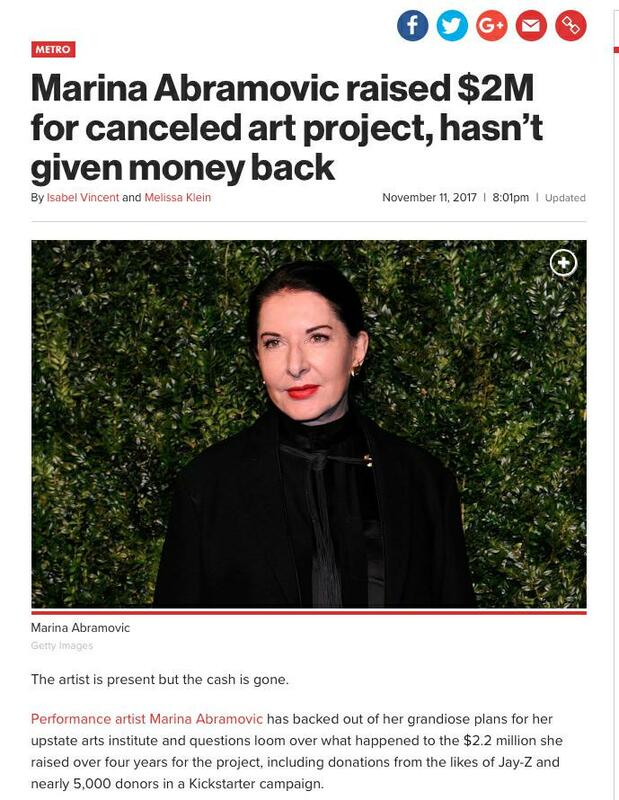 There is a very long tradition of patronage of the arts by royals and artists and intellectuals under royal protection are not necessarily total uncritical supporters of a ruling power. Famous example is the Spanish painter Goya who had four kings as his patron, including a foreign occupying king (one of the brothers of Napoleon) and who combined big painting commissions for the aristocracy with – on the side – graphical works with biting social criticism. Goya’s well known works on the horrors of war depict the national Spanish rising against the French occupationand as such fitted the Spanish royal ‘canon’. Czarina Catherina II of Russia entertained foreign critical minds like Voltaire at her court, but merciless prosecuted local intellectuals with enlightened ideas like the writer Alexander Radishchev (influenced by Rousseau) who was send to a Siberian exile and later committed suicide. There is evidence that the French King Louis XIV wanted to invite Spinoza to his court, in the period that French armies had occupied half of the Dutch Republic, but the ‘caute’ (cautiousness) of this radical philosopher made him rightly refuse that offer. Somewhat later on John Locke who had been in opposition to the catholic monarchy of England found a refuge in the Netherlands where he published his work on Tolerance (Epistola de Tolerantia), eleaborated on his ideas about “ultimate sovereignty of the people”, and joined forces with the Dutch Prince William of Orange III, in the Glorious Revolution of 1688, which made the British isles a constitutional kingdom under the reign of a Dutch prince. When it comes of patronage or support of critical intellectuals and artists, there is always some form of interest from the point of view of a king or aristocrat, to do so. The late husband of Queen Beatrix and the father of Prince Constantijn, Prince Claus has left as a legacy a foundation that supports “culture and development” directing its activities mainly at what the foundation publications (still) calls “The Third World”. One of the recent spearpoints of this patronage is the program “Creating Spaces of Freedom” directed at “people who are oppressed or who express opinions that differ from the general consensus.” The publication on this specific project of the Prince Claus Fund classifies its support aim clearly: “defiant culture”, which means ‘boldly resisting authority or an opposing force.’ A publication on this subject supported by the fund, summarizes its intent, to look at “the role of art in places where subversion is the only way to challenge the status quo.” So the patronage of the Dutch royals maybe conservative at home and at the same time most radical in ‘far away countries’. Though, there is a policy of some local critical intellectuals being invited for cultural events where the royals give acte de présence, and even anti-monarchist may be invited for a palace or other royal events, with names ranging from Peter Schat (once prosecuted for being involved in a lèse majesté cartoon case depicting the mother of Beatrix, Juliana, as a Dutch whore sitting in a window (with her yearly salary as a price tag) or lateley during National Remembrance Day on May 4. 2009, a speech – attended by the royals- by Wim de Bie, a Dutch comedian who has masterminded (together with Kees van Koten) over the last decades several television sketches poking jokes at the Queen and her extravaganza. 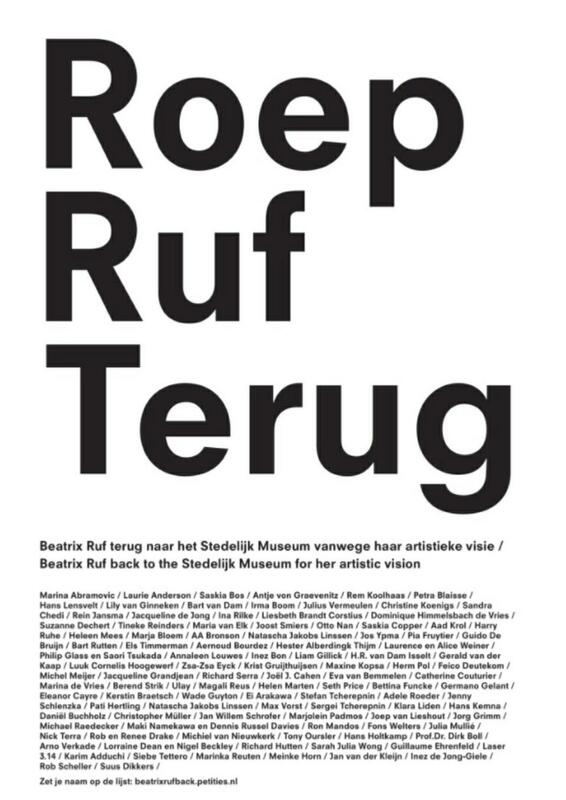 Must this particular Dutch policy of royal patronage of the arts be seen in a Marcusian sense as a form of “repressive tolerance” (Herbert Marcuse “Repressive Tolerance” 1965) ? Or is such a traditional left-wing branding too easy: “what is proclaimed and practiced as tolerance today, is in many of its most effective manifestations serving the cause of oppression.” Can there be still a creative and liberating role for hereditary queens and princes in the 21st. century? The royal family and Prince Constantijn had a shocking experience: “The images keep passing before my eyes, and the sounds echo in my ears”, said the prince, but when he further deliberates on this dramatic subject his imagination is not only poor, it is a void. If the role of patron of the competition World Press Photo would have been the only public function of this prince, I would not have even written this exposé, what alarmed me is that recently I did read a newspaper announcement in which I could read that Prince Constantijn had been installed as a board member of the Supervison Council (Raad van Toezicht) of the Stedelijk Museum Amsterdam (Museum of Modern Art Amsterdam). 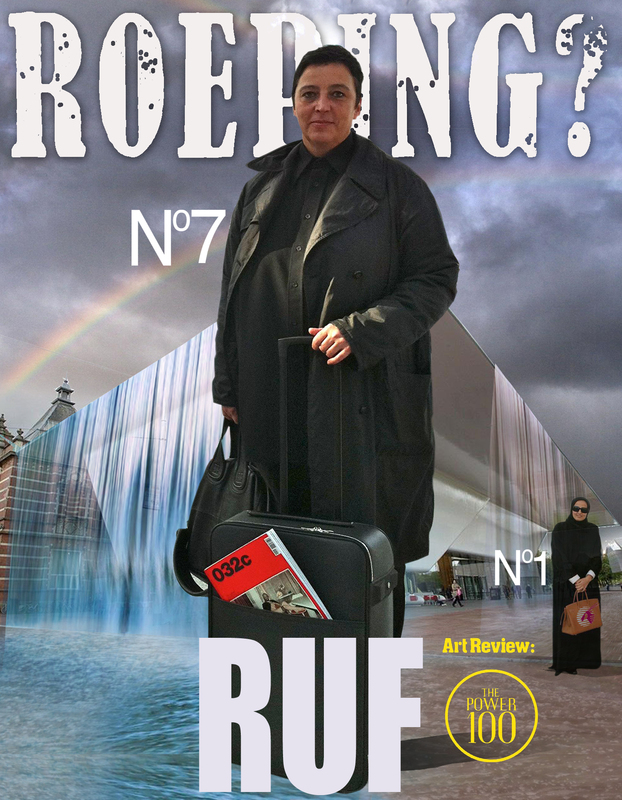 The press release has hardly any information except the fact that the prince “has a lot of experience in European and international governance” and also that “his liking of modern art makes him an extra good candidate for this position.” The Stedelijk Museum is a municipal museum, the municipality is formally governed by a municipal council that is democratically elected. This policy of nominating new members of a public governing body by co-optation is a shocking undemocratic act. Patronage of the arts thus becomes a form of Paternalism. 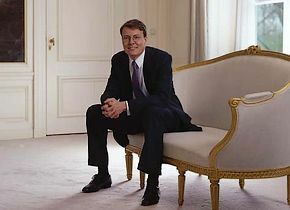 The State Press Service (RVD) choose this photograph of Prince Constantijn to go with the news item on his Stedelijk Museum Supervising Board membership, beginning of April 2009. It would lead too far to detail now how the other members of this “Super-vision Council” of the Stedelijk Museum Amsterdam opted in and out, but for the non-locals of Amsterdam it may be interesting to know that at the same time that Prince Constantijn moves in, the chairman of the council has moved out. And… who is this chairman? Rijkman Groenink, former director of the ABN/AMRO Bank who has made a reputation for himself by his adventurous banking and the demise of Fortis and the whole string of other banks involved in the construction of the economic crisis we live today, a man who managed to leave the sinking ship, that his bank had become, with an extravagant personal bonus. Maybe Constantijn will also peg a picture of banker Rijkman Groenink (in Dutch, his first name means literal ‘rich man’) on his wall and refresh his memories and let his imagination provide the manifold associations with this picture.